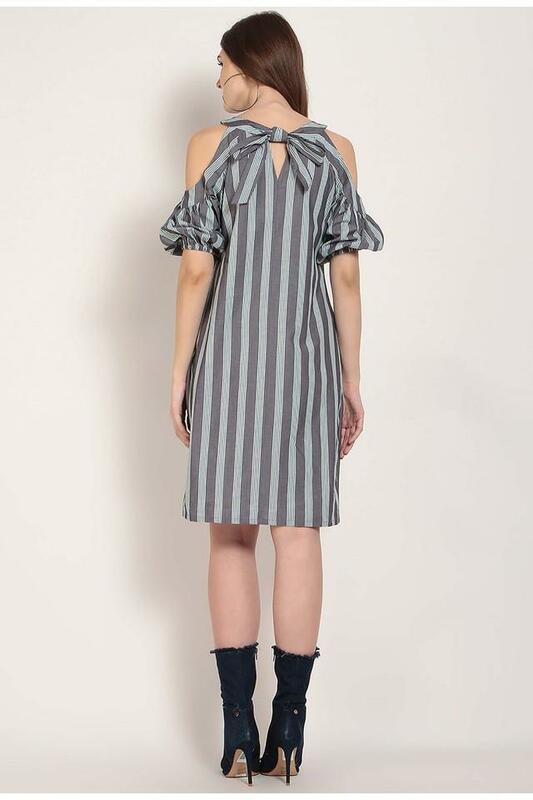 Look absolutely stylish by wearing this shift dress from the house of Rare. It has been crafted with care using a premium quality fabric that makes it comfortable to wear for long hours. Besides, it features cold shoulder sleeves and has a round neck that renders it smart. It also features a stripe pattern that adds to its look. 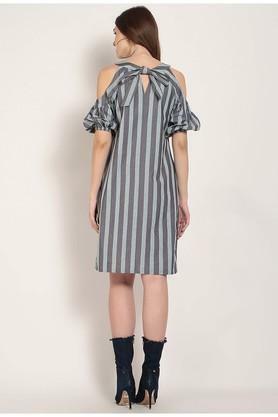 Give your wardrobe an overhaul with this shift dress, which has been tailored to perfection. It can be combined with a pair of wedge sandals to look good in any party.